Poetry. Paper, Perfect Bound. 164pp. 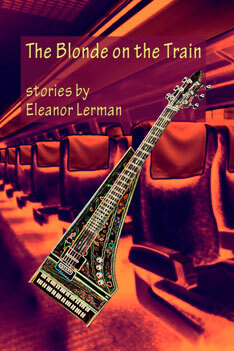 “The Blonde on the Train” by Eleanor Lerman is available on Kindle. Click to download from Amazon. 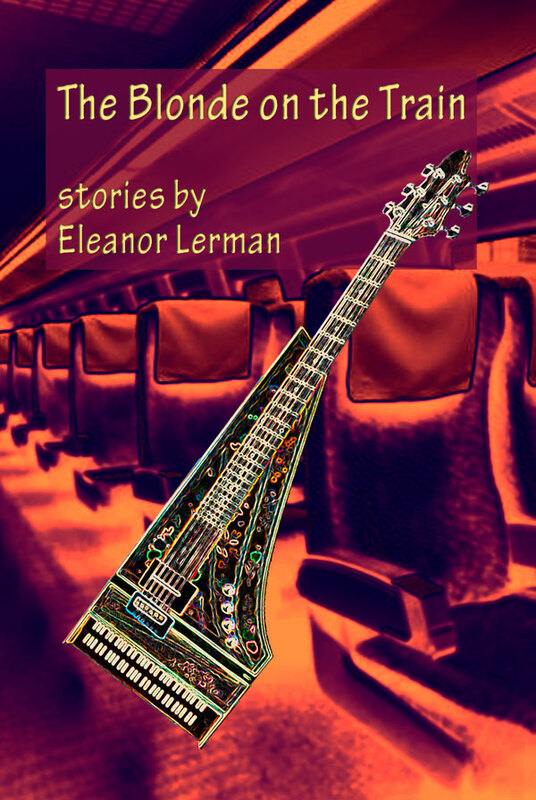 From Greenwich Village in the ’60s to Woodstock, NY, to an airport in the Midwest, Eleanor Lerman’s stunning short stories explore the disenchantment of this world, with love and hope and humor. As Kay is writing a check for the roses, Mr. Epps excuses himself to use the men’s room, which is outside, in the common hallway. He’s back before Kay has even closed her checkbook, and he looks wild-eyed, frightened. He runs over to the window and struggles with the ancient sash, which probably hasn’t been lifted for decades. Taking a putty knife from his workbench, he stabs at the paint-encrusted edges of the window, trying to set it free from the grip of time. Kay is so surprised by all this that as she fixes her gaze on his thin hands, balled together as they grip the knife, it hardly even occurs to her to try to figure out what he’s doing, or why. Finally, she realizes that he’s muttering something about the office next door. Once, Epps had mentioned that it was a diamond showroom, of sorts, a place where one of the 47th Street diamond merchants could bring customers who wanted privacy, to view diamonds the seller didn’t necessarily want anyone else to see. In other words, nobody is supposed to know that the showroom exists, but somebody obviously does because, if Kay is hearing Epps right, he’s trying to tell her that the diamond dealers next door are being robbed—and by men with guns. Still, what is he trying to do? Kay is frightened herself now, but there’s nothing in this room that anyone would want to steal. The best thing for them to do is make sure the door is locked and then stay quiet, but that plan is clearly not the one they’re going with. As Epps continues to hack away at the window, Kay thinks to pull her cell phone out of her shoulder bag and dial 911; speaking softly, she tells the operator that there’s a robbery in progress and gives her the address. The operator tells her to stay on the line, but she can’t; unbelievably, Epps has pried the window open and is now lifting it open as far as it will go. There is, it seems, just enough room for them to jump out into space. Eleanor Lerman’s first book of poetry, Armed Love (Wesleyan University Press, 1973), published when she was twenty-one, was nominated for a National Book Award. She has since published three other award-winning collections of poetry and a collection of short stories. Among her awards are the 2006 Milton Dorfman Poetry Prize, the 2006 Lenore Marshall Poetry Prize from the Academy of American Poets, the Nation magazine prize for the year’s most outstanding book of poetry for Our Post-Soviet History Unfold; and a 2007 Poetry Fellowship from the National Endowment for the Arts. She lives in New York.